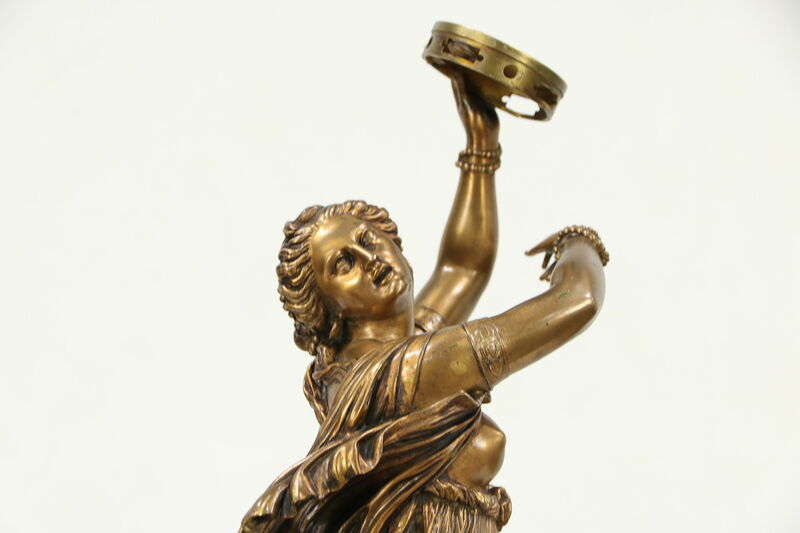 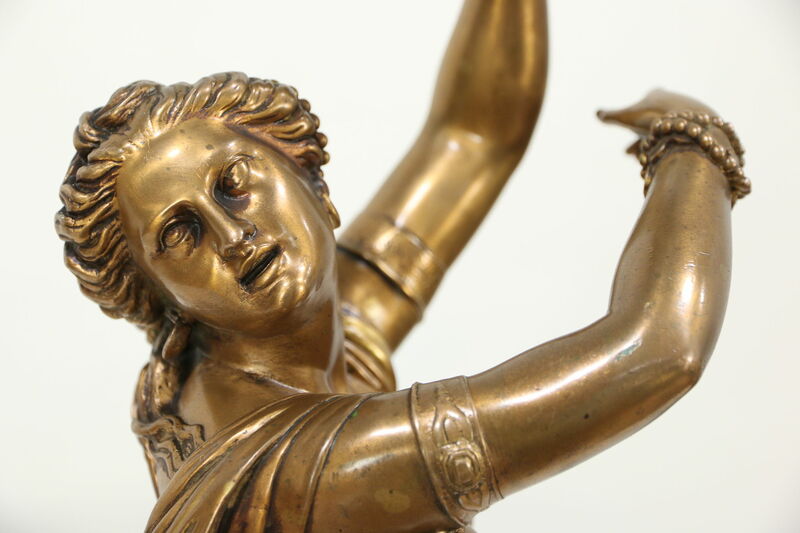 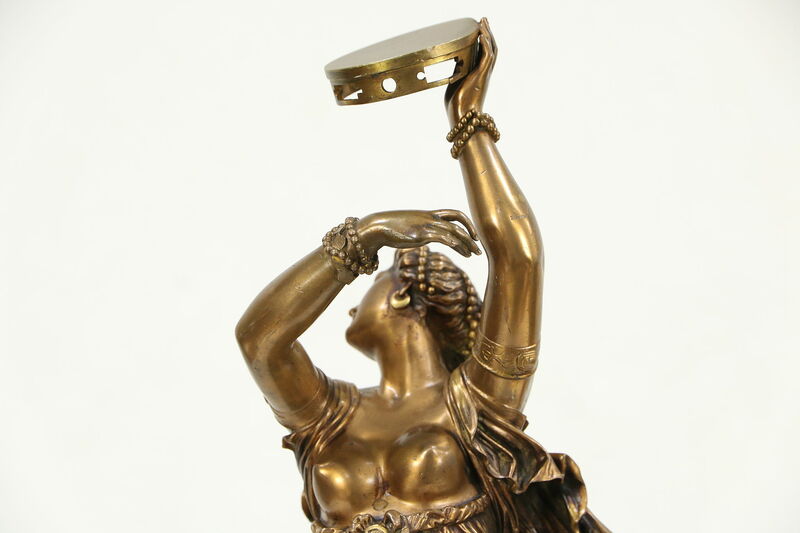 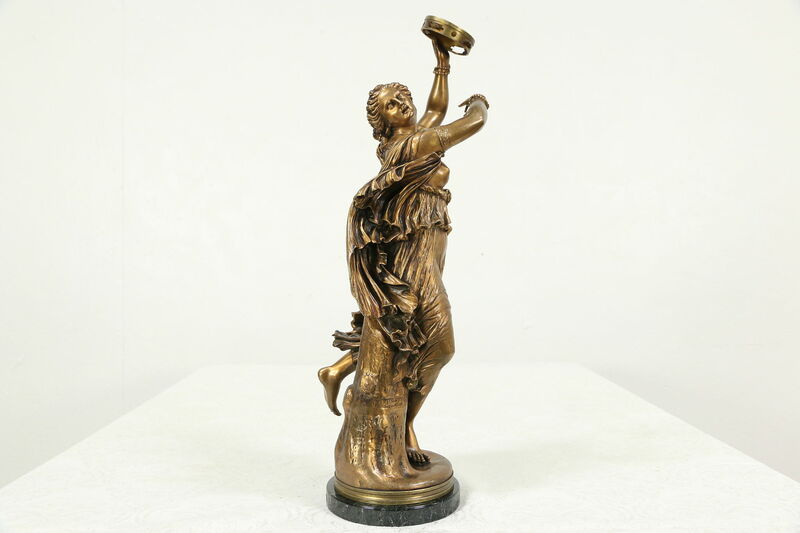 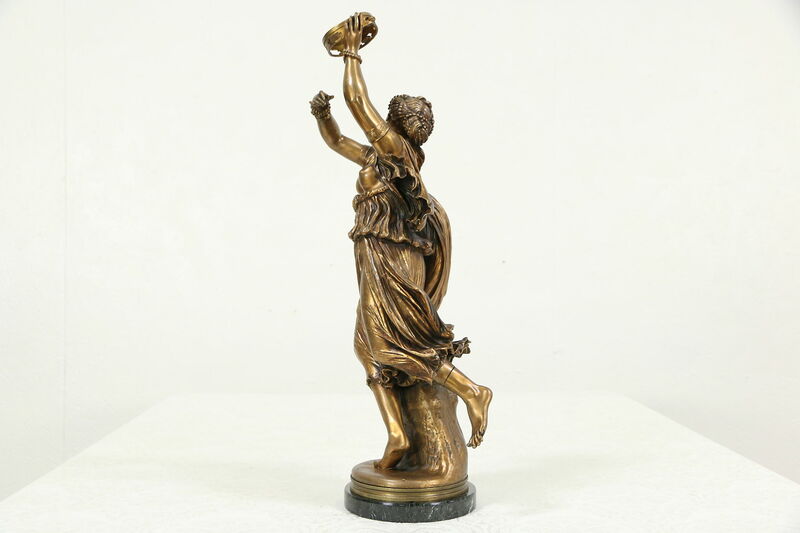 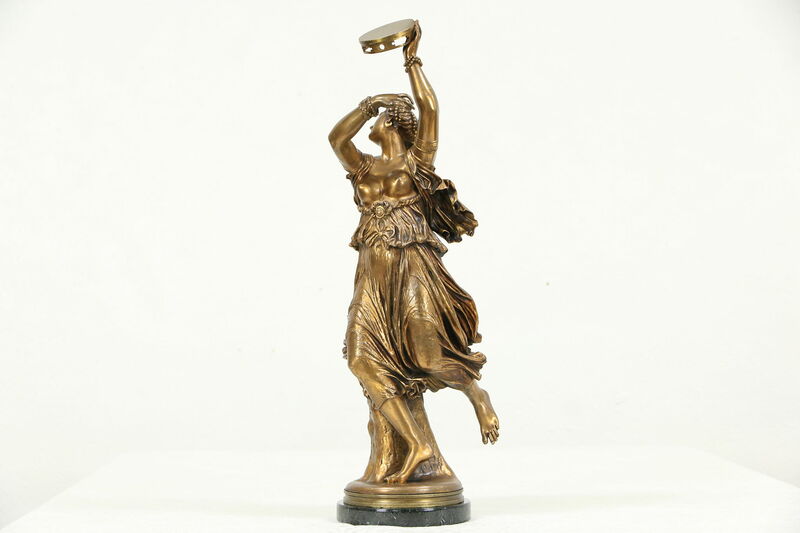 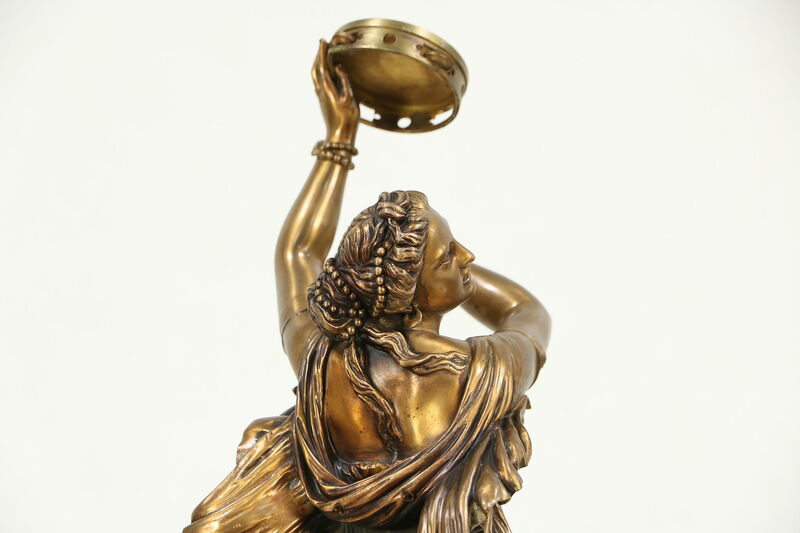 A marvelous bronze sculpture is known as "La Zingara" (Gypsy Girl) or "Danseuse au Tambourin" (Dancer with Tambourine) and is signed "J. Clesinger, Rome." 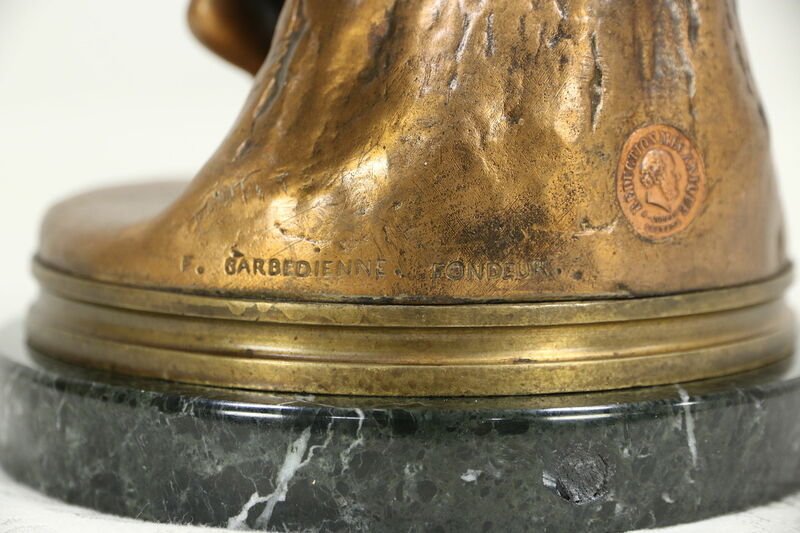 The famous "Barbedienne Fondeur" foundry stamp is on the base of this antique work of art from France. 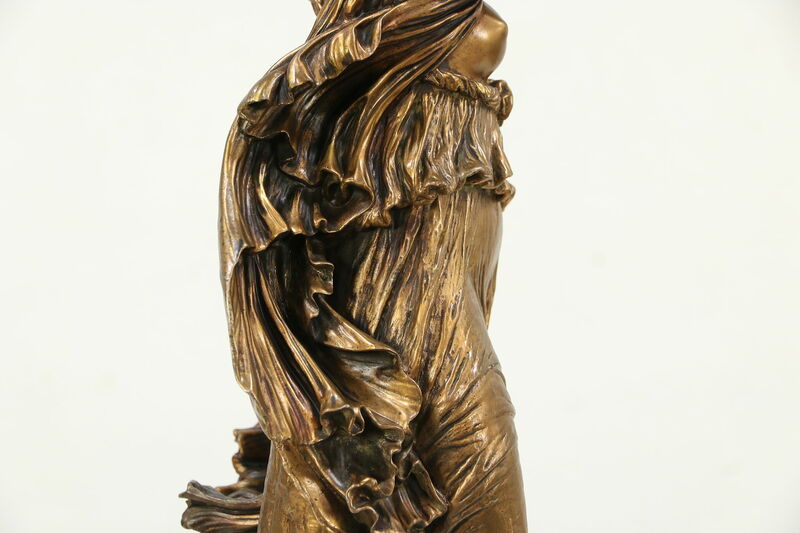 Her graceful movement and the dramatic draping of her dress are evocative. 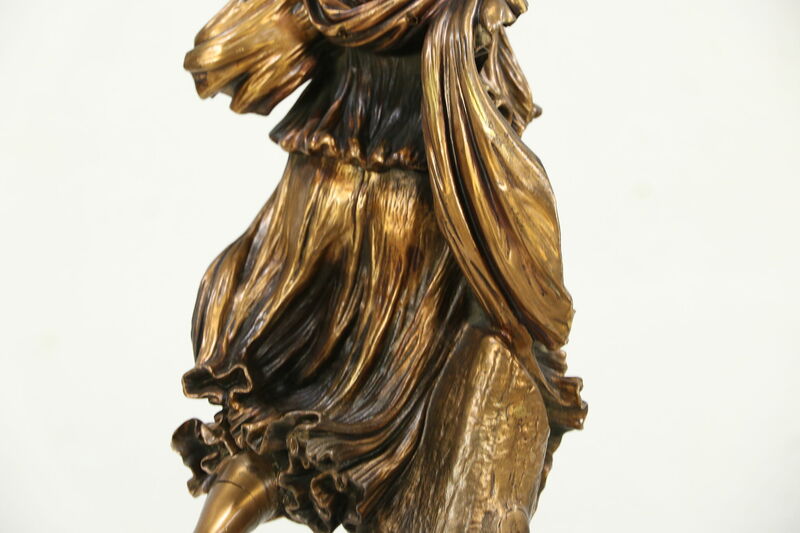 Gypsy girls were an obsession of the era during the age of the opera, "Carmen." 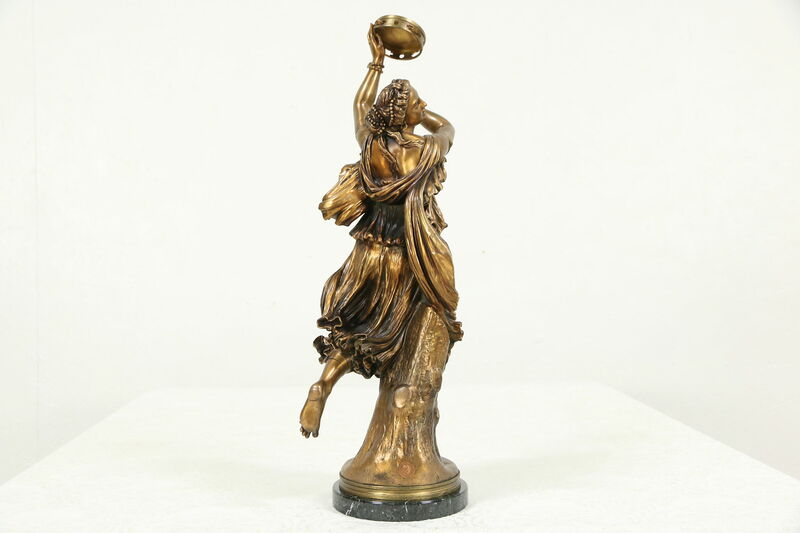 Jean-Baptiste Clesinger, known as Auguste, was born in Besancon, France in 1814. 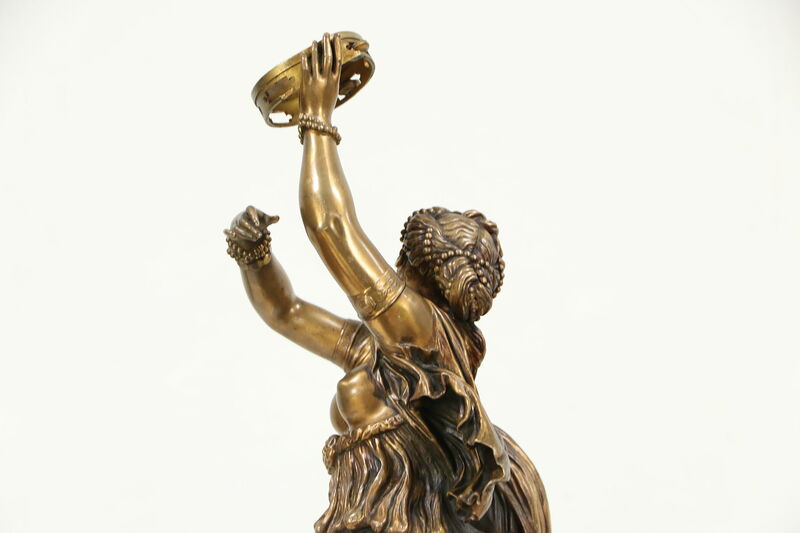 He first exhibited at the Paris Salon in 1843. 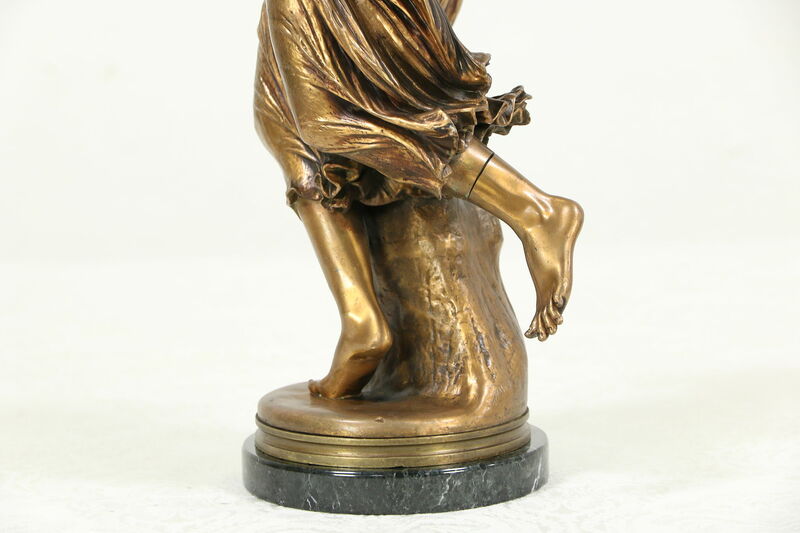 His marble statue, the rather scandalous "Woman Bitten by a Serpent," is in the Musee d'Orsay in Paris. 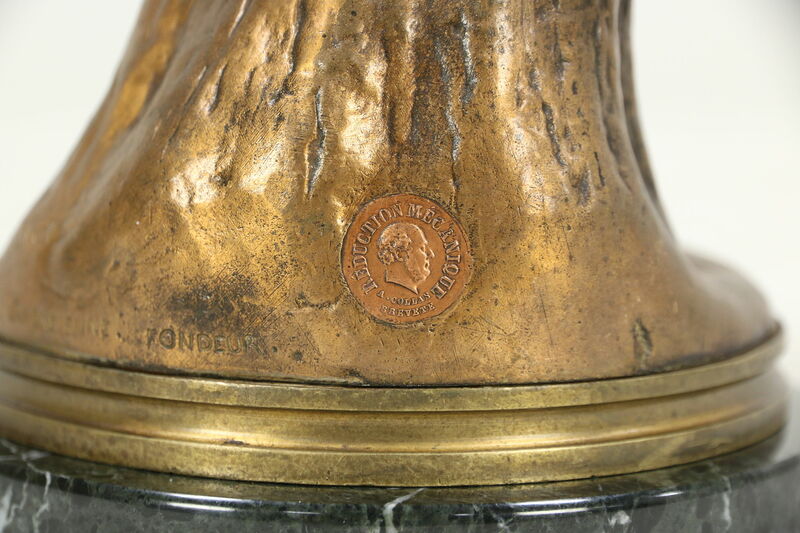 He made Chopin's death mask and created his memorial in Pere Lachaise Cemetery, also in Paris. 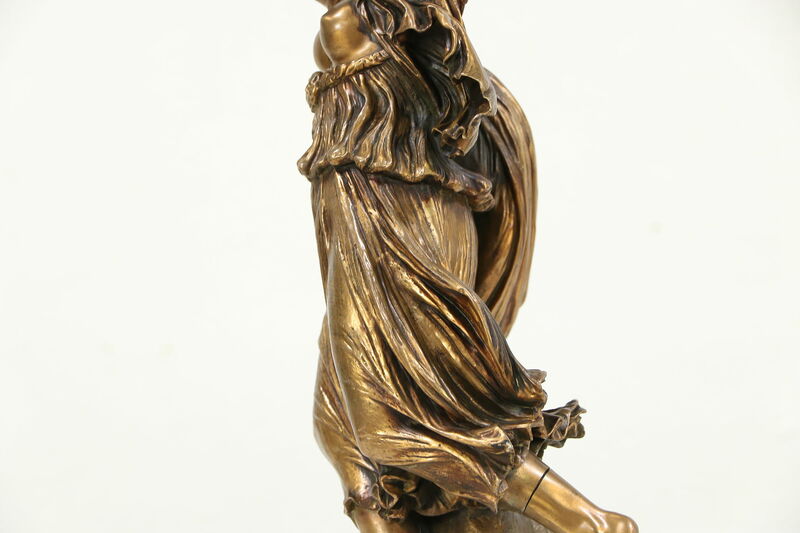 His work is displayed across France and around the world. 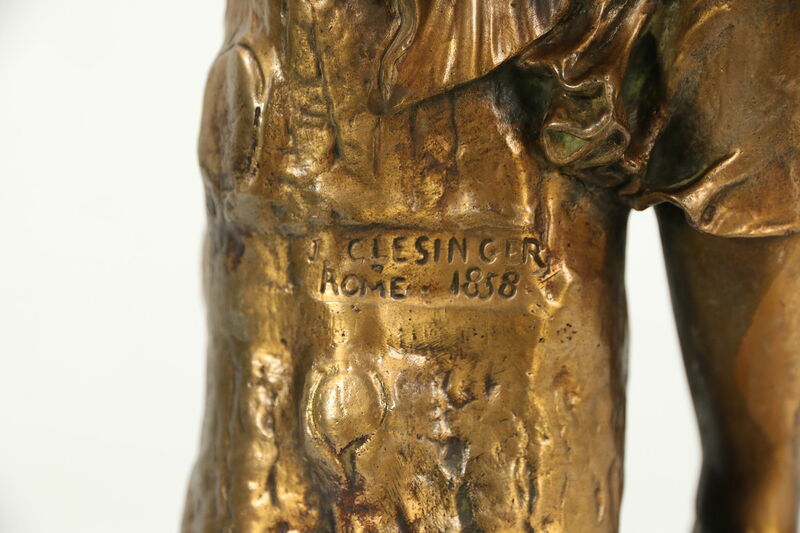 Clesinger married the daughter of George Sand, and died in Paris in 1883. 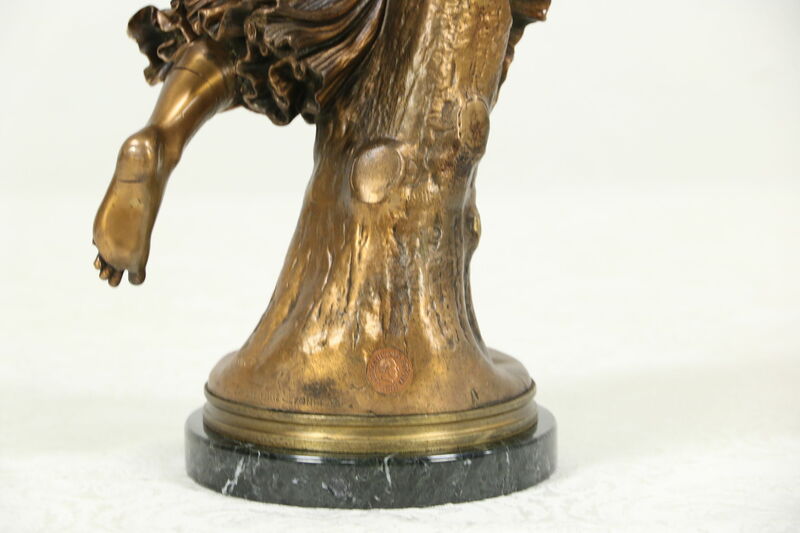 The statue has a rich warm deep patina in very fine condition with little wear. 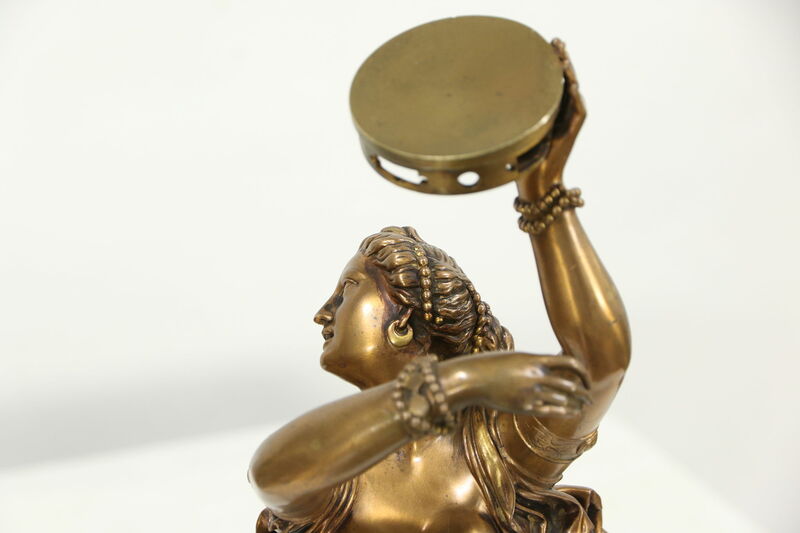 The tambourine is slightly bent and missing a few clappers, see photos. 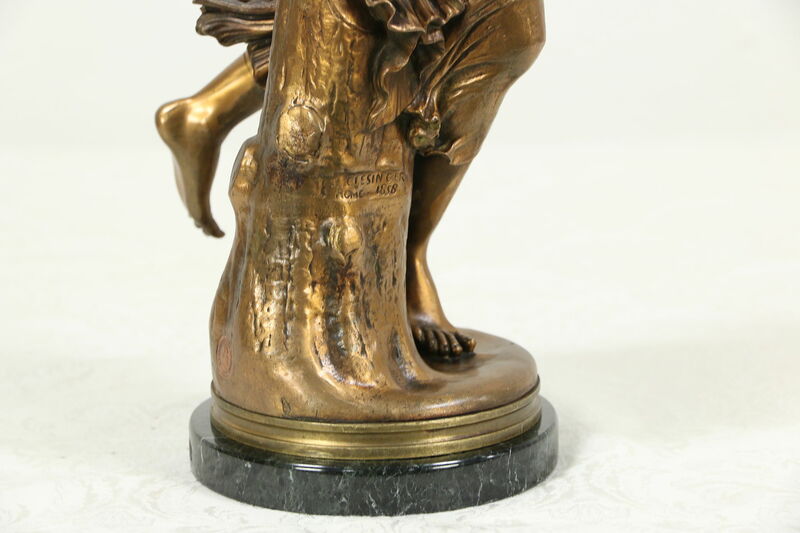 The casting of her left foot has a little flex at the original pegged joint, see photos. 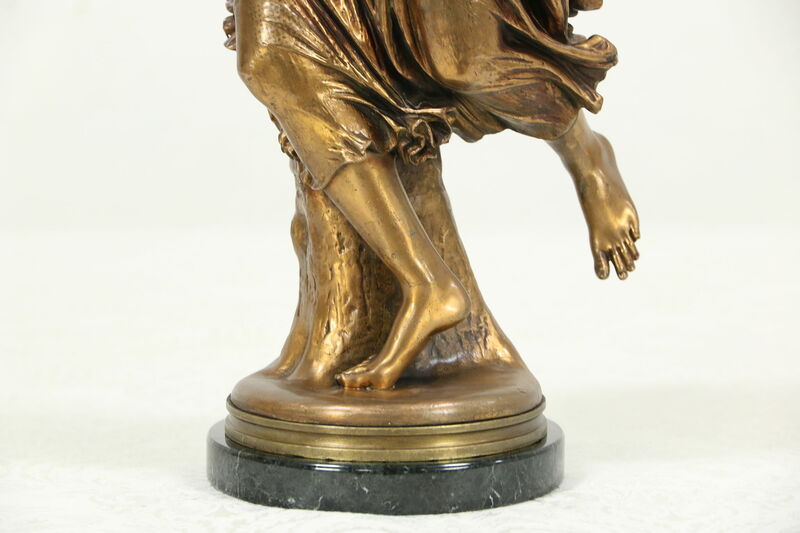 A marble base is later. 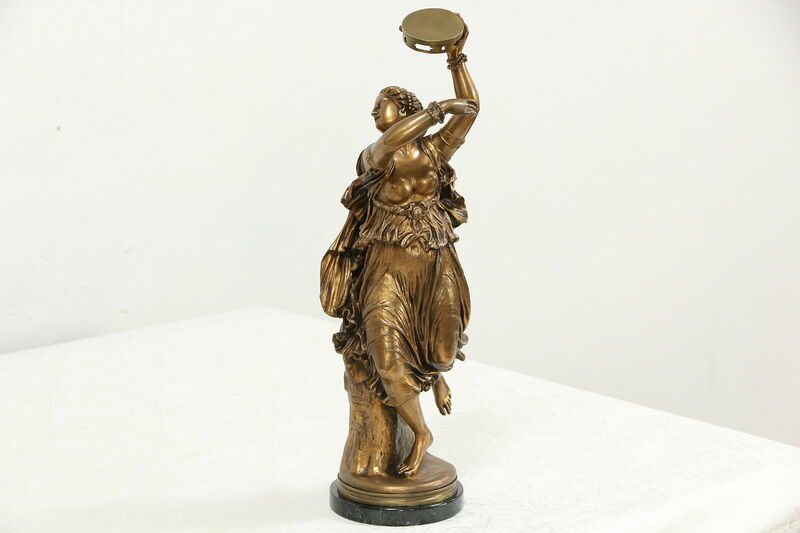 Measurements are 8" across and 22" tall.